The president of Hi-Rez Studios has joked that Blizzard is copying characters from one of his games. Stew Chisam suggests that there are some fairly major comparisons to be drawn between the new Overwatch hero, Brigitte, and Paladins hero Ash. We know all about Brigitte now, but who is the next Overwatch hero? Since its release in September 2016, Hi-Rez’s hero shooter has been criticised for its apparent similarities to Overwatch, which was unveiled back in 2016. 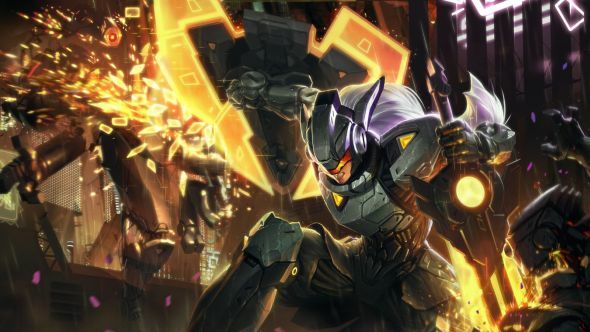 Hi-Rez maintain that their game had been in development since long before Overwatch’s unveiling in 2014, but there are undeniable similarities between the two – Paladins’ Fernando is a lot like Reinhardt, Ruckus rides a D’Va-style mech, Bomb King is reminiscent of Junkrat, and that’s not an exhaustive list. With the announcement of Brigitte, however, Chisam saw an opportunity to turn the tables. 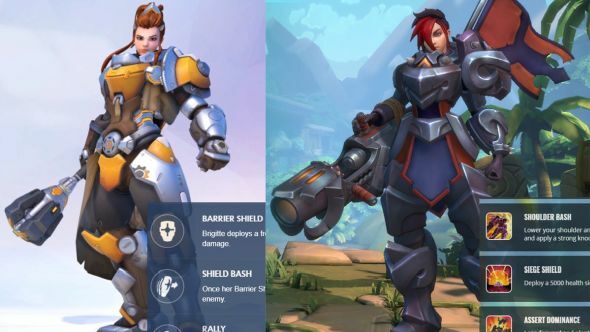 He posted a picture of Brigitte next to Paladins’ own heavily armoured, red-haired Bruiser, Ash, asking “if I happened to notice and point out any similarities between these two characters, would that make me the Pot calling the Kettle black, or the Kettle calling the Pot black?” Not only does the image show the visual similarities between the pair, but also their skills – both characters have a shield, a bash, and a rallying ability. In my opinion, Chisam does sort of have a point, but at the same time, it is very clear he’s only joking. The real question, of course, is not who copied who, but whether Ash or Brigitte would win in a fight. While we’re on the subject, Brigitte bears more than a passing similarity to League of Legends’ Leona, especially if you take a look at her Project Leona skin.